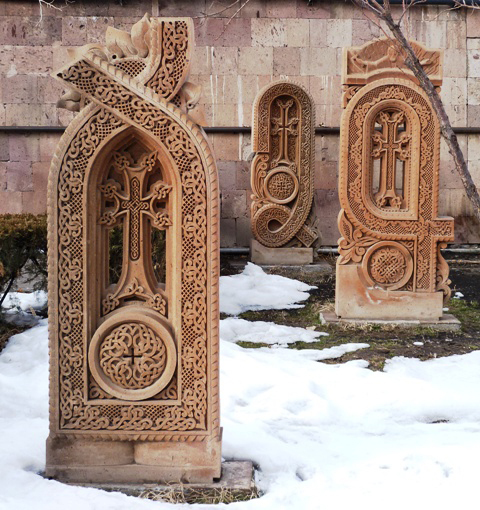 Armenian cross-stones (Khachkars) are outdoor steles carved from stone by craftspeople in Armenia and communities in the Armenian diaspora. They act as a focal point for worship, as memorial stones and as relics facilitating communication between the secular and divine. 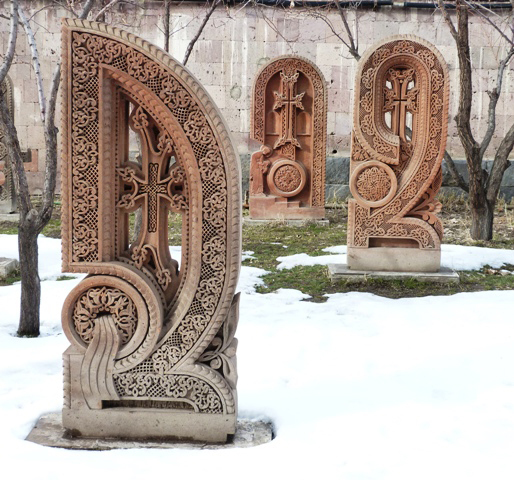 Khachkars reach 1.5 metres in height, and have an ornamentally carved cross in the middle, resting on the symbol of a sun or wheel of eternity, accompanied by vegetative-geometric motifs, carvings of saints and animals. Once finished, the Khachkar is erected during a small religious ceremony. After being blessed and anointed, the Khachkar is believed to possess holy powers and can provide help, protection, victory, long life, remembrance and mediation towards salvation of the soul. 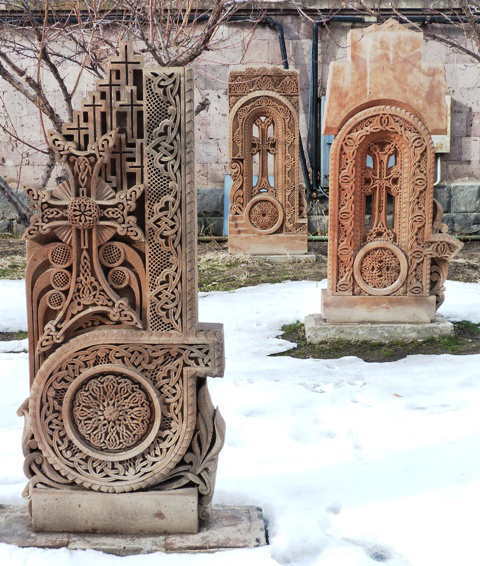 Among more than 50,000 Khachkars in Armenia, each has its own pattern, and no two are alike. 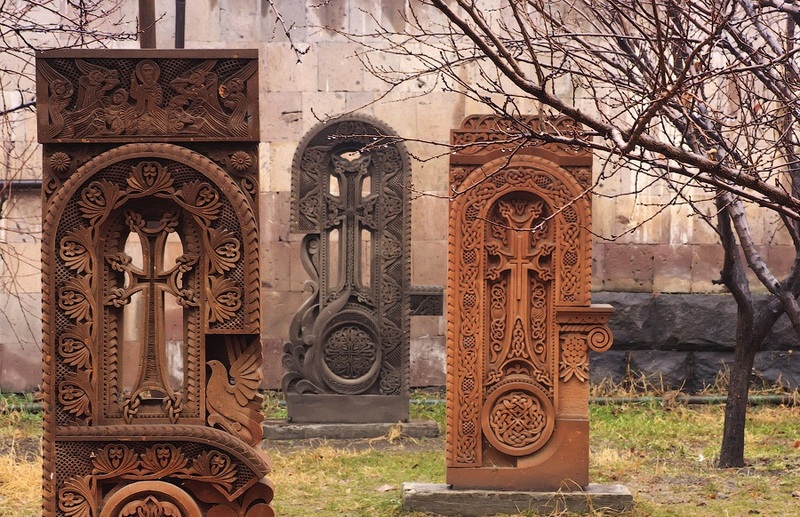 Khachkar craftsmanship is transmitted through families or from master to apprentice, teaching the traditional methods and patterns, while encouraging regional distinctiveness and individual improvisation.